For full information on ukulele events in London check out mightyukulele.co.uk. 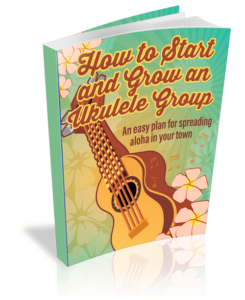 If you’re looking for some guidance with your ukulele group I highly recommend Joshua Waldman’s How to Start and Grow a Ukulele Group (available in digital and paper form) (affiliate links). It’s packed with great information on the practical side of running a group and the challenges of leading and keeping a group together.